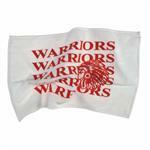 Home > Spirit Items, Promotional, Fundraising, FUN! As former coaches & Booster Club presidents, we at ACD Sports know that fundraising through selling and getting sponsors is a necessary part of keeping our children's programs operating. But instead of offering the same old overpriced products that people feel obligated to purchase, we want to offer your group unique, easy to sell, personalized gifts, clothing and spirit items - make it fun! ACD Sports Plus for all your team imprinted items, plus thousands of other items for special events, weddngs, etc. 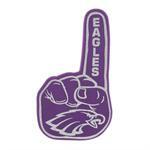 #1 Foam Hand Mitts! Available in 6 sizes, 16 colors, price includes your 1 color print on the front. 100 mitt minimum. 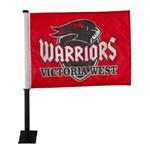 Show your team spirit with this custom car flags. 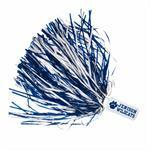 Mini Footballs customized for your school or group add great fun for any game or promotion! 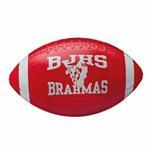 6" plastic footballs available in a wide variety of colors. Minimum order 100 footballs. Silicone wristbands, made in the USA. Minimum order 200. 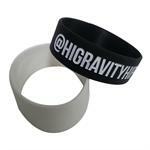 Nice quality wristbands at a very affordable price. Ink is injected into your engraved/debossed wording.